These 2019 Blackheart Cup Official Rules (“Rules”) govern all rounds of the 2019 Blackheart Cup (“Blackheart Cup” or “Event”). These Rules have been designed to ensure the integrity of competitive play of Fortnite (the “Game”) in connection with the Event, and are intended to promote vigorous competition and to help ensure that all competitive play of the Game is fun, fair, and free from Toxic Behavior (as defined below). To participate in the Event, each player must agree (or, if under 18 years of age or the age of majority as defined in such player’s country of residence (a “Minor”), such player’s parent or legal guardian must agree on such player’s behalf) to follow these Rules at all times, including the Code of Conduct in Section 7. A player (or, if a Minor, such player’s parent or legal guardian) may accept these Rules by clicking to accept or agree to these Rules, where this option is made available to you by Epic Games, Inc. (“Epic”) in the Game client. By participating in any game or match that is part of the Event, a player is confirming that he or she (or, if a Minor, his or her parent or legal guardian) has accepted these Rules pursuant to this Section 1.2. Epic will have primary responsibility for enforcing these Rules for all players at the Event and may, working with the Event Administrators (as defined below), hand out punishments to players for violations of these Rules, as further described in Section 8. Epic may update, revise, change, or modify these Rules from time to time. For each player, his or her participation in the Event after any update, revision, change, or modification to these Rules will be deemed acceptance by such player (or, if a Minor, such player’s parent or legal guardian) of these Rules as updated, revised, changed, or modified. An occurrence where one player depletes the HP and Shield (if any) of another player. Elimination credit is determined by (a) the action feed located at the bottom left corner of the gameplay screen, and (b) the UI illustrating total number of eliminations earned during a single match. Any Epic employee or member of the admin team, broadcast team, production team, event staff, or anyone else otherwise employed or contracted for the purpose of running the Event. A specific ruleset, set of gameplay elements, or win conditions for a given match. Game modes can be very broad and may or may not differ from one match to the next. Event Administrators will explain the specific parameters for each game mode before the beginning of a match. The in-game tournament comprised of a series of assorted sessions beginning March 6, 2019 at 00:00 UTC and ending March 23, 2019 at 00:00 UTC. A single instance of competition within Fortnite that is played until a player or team either achieves a Victory Royale (as defined below) or certain victory conditions are otherwise met. A player’s or team’s time spent in play in a match, relative to that of other players or teams in such match, prior to being eliminated. Placement rank is illustrated in the UI after being eliminated. A set of matches that is played until a winner or multiple winners are determined by one of the following methods: (a) completion of a set number of matches or (b) completion of a set time period. An occurrence where a player or team meets the victory conditions of the current game mode of the match being played. More typically, this refers to obtaining a first place placement finish. Epic may, in its sole discretion, reorder the schedule and/or change the date for any match or session of the Event (or change any game mode to be played in connection therewith). However, if the Event schedule is so modified, Epic will inform all players at its earliest convenience. 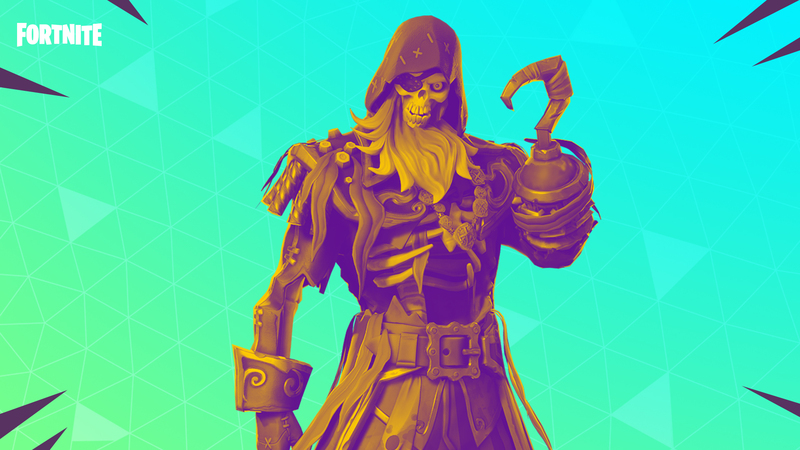 Any eligible team (as determined by Epic in accordance with these Rules) may queue up and participate in the Blackheart Cup Round 1 (“Round 1”). For Round 1, teams who placed in the Top 3% (global) of any Gauntlet Test Event session prior to the start of the Event will be invited to compete in a single session during their respective regions’ Blackheart Cup Round 1 Period as listed in-game. This session will last approximately 3 hours. Teams may only participate in a maximum of 10 matches during the session. Teams will earn points based on the scoring system listed in Sections 2.4.1.2 or 2.4.1.3 (as applicable). Matches will count only if the match begins before the Blackheart Cup Round 1 Period window closes. At the conclusion of Round 1, the top 3000 point earning teams from each server region will advance and be able to queue up for the Blackheart Cup Round 2 (“Round 2”); provided, that, such players enable (if not already enabled) Two-Factor Authentication (“2FA”) on their Epic accounts. It will not be possible to enter Round 2 without (a) ranking in a region’s top 3000 teams during Round 1; and (b) having 2FA enabled on a player’s Epic account. In Round 2, teams will compete in a single session during their respective regions’ Blackheart Cup Round 2 Period as listed in-game. This session will last approximately 3 hours. Teams may only participate in a maximum of 10 matches during the session. Teams will earn points based on the scoring system listed in Sections 2.4.1.2 or 2.4.1.3 (as applicable). Matches will count only if the match begins before the Round 3 window closes. At the conclusion of Round 2, the top ranked teams from each region will be awarded prizes as set out in Section 2.5. Tiebreakers will be determined in the order presented here: (1) total points scored; (2) total Victory Royales in the session; (3) total eliminations in the session; (4) average placement per match in the session; (5) total time spent alive in the session; (6) head-to-head eliminations against one another across any matches in the session; and finally (7) a coin flip. Subject to Section 2.5.2, the following prizes will be awarded to each team based on its placement within the regional leaderboards at the conclusion of Round 2. The highest scoring players will only be named winning players (“Winning Players”) in the event that such players receive a formal notification from Epic. A potential Winning Player will be notified by Epic at the email address associated with such player’s Epic account at the start of the Event within 7 days of completion of the Event, or such other time as required by Epic for such notification, and will be subject to verification of eligibility and compliance with these Rules. Upon formal notification from Epic, a potential Winning Player shall have 30 days to respond and provide any information or materials requested by Epic for verification purposes. The failure to timely respond to any notification or request for materials or information may result in forfeiture of any and all potential prizes; and, in such cases, Epic shall have the right, in its sole and absolute discretion, to name the next highest scoring player as a potential Winning Player, to whom the procedures stated in this Section 2.5.2 will also apply. A Winning Player will only be announced once the verification process has been completed by Epic. Winning Players will also be required to provide certain payment information to Epic, including any required tax information forms, in order to receive the prizes. Epic may withhold payment of the prizes if the Winning Player fails to provide the applicable payment forms to Epic in a timely manner. PRIZES ARE SUBJECT TO APPLICABLE FEDERAL, STATE AND LOCAL INCOME TAX AND IT IS THE RESPONSIBILITY OF EACH WINNING PLAYER TO (I) CHECK WITH HIS OR HER LOCAL TAX ADVISOR TO DETERMINE WHICH TAXES APPLY TO HIM OR HER AND (II) PAY SUCH TAXES TO THE APPROPRIATE TAX AUTHORITY. It is Epic's policy to withhold tax at the backup withholding rates in effect for US and non-US residents. Prize income and tax withholding will be reported on forms 1099-MISC for US residents and 1042-S for non-US residents. Epic will determine the payment method for the prizes in its sole discretion and, except as otherwise required by applicable law, all payments will be made directly to the Winning Player (or, if a Minor, to the Winning Player’s parent or legal guardian). The Winning Player will be sent a Prize Acceptance and Release Form (“Release”). Unless restricted by applicable law, the Winning Player (or, if a Minor, such Winning Player’s parent or legal guardian) will be required to complete and return the Release within 72 hours of the date the Release is sent. 3.1.1 To be eligible to participate in any Blackheart Cup match, a player must be at least 13 years old (or such other age, if greater, as may be required in such player’s country of residence). Minors must have permission from a parent or legal guardian in order to participate in the Event. 3.1.2 Ineligible players who mislead or attempt to mislead Event Administrators by providing false eligibility information will be subject to disciplinary actions as further described in Section 8.2. Each player must follow the Fortnite End User License Agreement (“Fortnite EULA”) (https://www.epicgames.com/fortnite/eula). These Rules add to, and do not replace, the Fortnite EULA. Employees, officers, directors, agents, and representatives of Epic (including the legal, promotion, and advertising agencies of Epic) and their immediate family members (defined as spouse, mother, father, sisters, brothers, sons, daughters, uncles, aunts, nephews, nieces, grandparents and in-laws, regardless of where they live) and those living in their household (whether or not related), and each person or entity connected with the production or administration of the Event, and each parent company, affiliate, subsidiary, agent and representative of Epic are not eligible. 3.4.1 All team and individual player names must follow the Code of Conduct in Section 7. Epic and the Event Administrators each may restrict or change team and individual player tags or screen names for any reason. 3.4.2 The name used by a team or player may not include or make use of the terms Fortnite®, Epic, or any other trademark, trade name, or logo owned by or licensed to Epic. 3.4.3 Prior to the start of the Event, Epic and/or Event Administrators will work directly with all invited players to determine a suitable display name for use in connection with the Event. Players must use this agreed upon identifier for the duration of the Event. Players must be in good standing with respect to any Epic accounts registered by said player, with no undisclosed violations. Players must also be free of or served fully any penalties from previously breaking any official Epic rules. The Event in all parts is open to players from across the world, but is void wherever restricted or prohibited by law. 4.1 Each player (or, if a Minor, such player’s parent or legal guardian) must acknowledge and accept these Rules in-game pursuant to Section 1.2 before participating in Round 1. An error, flaw, failure, or fault that produces an incorrect or unexpected result, or otherwise causes the Game and/or a hardware device to behave in unintended ways. A player losing connection to the Game due to player’s actions. Any actions of a player which lead to a disconnection shall be deemed intentional, regardless of the actual intent of the player. Intentional disconnection is not considered a valid technical issue for the purposes of a remake. All players losing connection to the Game due to an issue with the Game server. A player losing connection to the Game due to problems or issues with the game client, platform, network, or PC. Due to the nature of online competition and the testing environment, matches will not be restarted or made null due to technical issues. Any technical issues or bug encounters must be played through and will not be cause for a remake. 6.1.1 The Game client will record and report the scores at the conclusion of each Match. 6.1.2 At times, unforeseen issues may arise that result in score reporting delays and/or inaccuracies. For the duration of the Event, the score displayed in Game will be the universally accepted score, regardless of accuracy. 6.1.3 Players that notice a scoring issue should report the issue to Epic in a timely manner. 7.1.1 All players must conduct themselves in a way that is at all times consistent with (a) the Code of Conduct in this Section 7 (“Code of Conduct”) and (b) the general principles of personal integrity, honesty, and good sportsmanship. 7.1.2 Players must be respectful of other players, Event Administrators, and fans. 7.1.3 Players may not behave in a manner (a) which violates these Rules, (b) which is disruptive, unsafe or destructive, or (c) which is otherwise harmful to the enjoyment of the Game by other users as intended by Epic (as decided by Epic). In particular, players may not engage in harassing or disrespectful conduct, use of abusive or offensive language, game sabotage, spamming, social engineering, scamming, or any unlawful activity (“Toxic Behavior”). 7.1.4 Any violation of these Rules may expose a player to disciplinary action as further described in Section 8.2, whether or not that violation was committed intentionally. Collusion (as defined below), match fixing, bribing a referee or match official, or any other action or agreement to intentionally influence (or attempt to influence) the outcome of any match or Event. Hacking or otherwise modifying the intended behavior of the Game client. Playing or allowing another player to play on an Epic account registered in another person’s name (or soliciting, encouraging, or directing someone else to do so). Using any kind of cheating device, program, or similar cheating method to gain a competitive advantage. Intentionally exploiting any game function (e.g., an in-game bug or glitch) in a manner not intended by Epic in order to gain a competitive advantage. Using distributed denial of service attacks or similar methods to interfere with another Participant’s connection to the Fortnite game client. Using macro keys or similar methods to automate in-game actions. Intentionally disconnecting from a match without a legitimate reason for doing so. Accepting any gift, reward, bribe, or compensation for services promised, rendered, or to be rendered in connection with unfair play of the Game (e.g., services designed to throw or fix a match or session). Receiving outside assistance regarding the location of other players, other players’ health or equipment, or any other information not otherwise known to the player by the information on his or her own screen (e.g., looking at or attempting to look at spectator monitors while currently in a match). Teaming: Players working together during the match while on opposing teams. Planned Movement: Agreement between 2 or more opposing players to land at specific locations or to move through the map in a planned way before the match begins. Communication: Sending or receiving signals (both verbal and non-verbal) to communicate with opposing players. Item Dumping: Intentionally dropping items for an opposing player to collect. 7.2.3 Each player is expected to play to the best of his or her ability at all times during any match and in a way that is consistent with the rules in Sections 7.2.1 and 7.2.2. 7.3.1 Players are prohibited from engaging in any form of harassing, abusive, or discriminatory conduct based on race, color, ethnicity, national origin, religion, political opinion or any other opinion, gender, gender identity, sexual orientation, age, disability, or any other status or characteristic protected under applicable law. 7.3.2 Any player who witnesses or is subjected to harassing, abusive, or discriminatory conduct should notify an Epic Esports Coordinator or Event Administrator. All complaints will be promptly investigated and appropriate action will be taken. Retaliation against any player who brings forward a complaint or cooperates in the investigation of a complaint is prohibited. A player may not disclose to any third party any confidential information provided by the Event Administrators, Epic, or its affiliates concerning Fortnite, the Event, Epic, or its affiliates, by any method of communication, including by posting on social media channels. Players are required to comply with all applicable laws at all times. Players agree to fully cooperate with Epic and/or an Event Administrator (as applicable) in the investigation of any violation of these Rules. If Epic and/or an Event Administrator contacts a player to discuss the investigation, the player must be truthful in the information that he or she provides to Epic and/or an Event Administrator. Any player found to have withheld, destroyed, or tampered with any related information, or otherwise found to have mislead Epic and/or an Event Administrator during an investigation, will be subject to disciplinary action as further described in Section 8.2. Prevent the player from participating in one or more future competitions hosted by Epic. 8.2.2 For clarity, the nature and extent of the disciplinary action taken by Epic pursuant to this Section 8.2 will be in the sole and absolute discretion of Epic. Epic reserves the right to seek damages and other remedies from such player to the fullest extent permitted by applicable law. 8.2.3 If Epic decides that there have been repeated breaches of these Rules by a player, it may hand out increasing disciplinary action, up to and including permanent disqualification from all future competitive play of Fortnite. Epic may also enforce any applicable punishment specified in Epic’s Terms of Service and/or the Fortnite EULA. 8.2.4 All Rules violations at the Event will be governed by the Epic Competitive Penalty Matrix. A final decision by Epic as to the appropriate disciplinary action will be final and binding on all players. Epic has final, binding authority to decide all disputes with respect to any portion of these Rules, including the breach, enforcement, or interpretation thereof. The Event is subject to these Rules. By participating, each player agrees (or, if a Minor, such player’s parent or legal guardian agrees on such player’s behalf): (a) to be bound by these complete Rules (including the Code of Conduct) and the decisions of Epic which shall be final and binding; and (b) to waive any right to claim ambiguity in the Event or these Rules, except where prohibited by applicable law. By accepting a prize, the winning player agrees (or, if a Minor, such winning player’s parent or legal guardian agrees on such winning player’s behalf) to release Epic from any and all liability, loss or damage arising from or in connection with awarding, receipt and/or use or misuse of prize or participation in any prize-related activities. Epic shall not be liable for: (i) telephone system, telephone, or computer hardware, software, or other technical or computer malfunctions, lost connections, disconnections, delays or transmission errors; (ii) data corruption, theft, destruction, unauthorized access to or alteration of entry or other materials; (iii) any injuries, losses or damages of any kind, including death caused by the prize or resulting from acceptance, possession, or use of a prize, or from participation in the Event; or (iv) any printing, typographical, administrative, or technological errors in any materials associated with the Event. Epic reserves the right to cancel or suspend the Event in its sole discretion or due to circumstances beyond its control, including natural disasters. Epic may disqualify any player from participating in the Event or winning a prize if, in its sole discretion, it determines such player is attempting to undermine the legitimate operation of the Event by cheating, hacking, deception, or any other unfair playing practices intending to annoy, abuse, threaten, undermine, or harass any other players or Epic’s representatives. The internal laws of the State of North Carolina will govern disputes regarding these Rules and/or the Event. Epic reserves the right, in its sole discretion, to cancel, modify, or suspend the Event should a virus, bug, computer problem, unauthorized intervention, or other causes beyond Epic’s control, corrupt the administration, security or proper play of the Event. Any attempt to deliberately damage or undermine the legitimate operation of the Event may be in violation of criminal and civil laws and will result in disqualification from participation in the Event. Should such an attempt be made, Epic reserves the right to seek remedies and damages (including attorneys’ fees) to the fullest extent of the law, including criminal prosecution. Epic reserves the right to disqualify any player it finds to be tampering with the entry process or the operation of the Event or violating these Rules. Epic is not responsible for any problems, bugs, or malfunctions players may encounter. The Event is subject to all applicable federal, state and local laws. Epic reserves the right to use the name, tag, likeness, video, game play statistics, and/or Epic account ID of any participating player, for publicity purposes prior to, during, or after the Event end date, in any media, throughout the world, in perpetuity, but only in connection with publicizing the Event, without any compensation or prior review unless specifically prohibited by law. Except as prohibited by applicable law and as a condition of participating in this Event, each Participant hereby irrevocably and perpetually waives any right s/he may have to a trial by jury in respect of any litigation directly or indirectly arising out of, under or in connection with this Event, any document or agreement entered into in connection herewith, any prize available in connection herewith, and any of the transactions contemplated hereby or thereby. © 2019 Epic Games, Inc. All rights reserved.